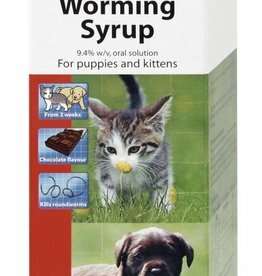 Wormers for puppies & dogs in tablet, syrup & granule form. Johnson's One Dose Easy Wormer. 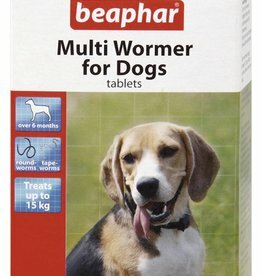 A broad-spectrum wormer for use in dogs. 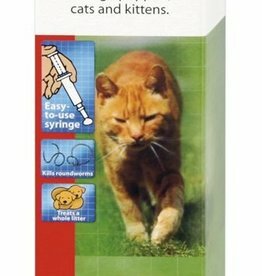 It is highly effective in a single dose against roundworms and tapeworms in the UK. Verm-X Crunchies are designed to be fed every day throughout the year. 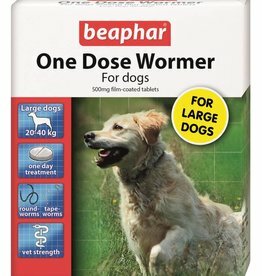 Beaphar WORMclear One Dose Wormer for Dogs. 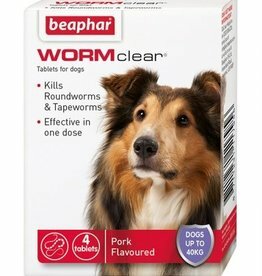 Each pack contains pork flavoured tablets which kill roundworms and tapeworms.